Porta Mokha Limited is a Birmingham based business that is dedicated for sourcing pure, authentic and exotic food products. At Porta Mokha we are passionate about what we do and what we bring to our customers. We work hard to bring them from far away closer to your reach. So far, we have been successful in bringing to you the best authentic dates and freshly roasted premium and some exclusive coffee beans. Check out our range of products HERE. In the meantime, we are focusing on authentic, luxurious and premium dates, as well as pure, exclusive and freshly roasted 100% Arabica coffee beans. Porta Mokha is not just a business – it is a place where we like to think we are offering you food products that can bring joy to the senses and naturally healthy at the same time. Luxury in food – in our dictionary means – authentic, premium and exotic. This is what makes us what we are. We are specialised in going far away to bring, the best and only the best, to you. Relax and enjoy looking at, touching, feeling, tasting, chewing, eating/drinking what we bring for you only. In simply words, it’s a joy for the senses. Such an experience can be hard to find and we are so passionate about it that we do our best to offer all of this to you. If you love our products, we would love to hear from you. If you have any suggestions, we also would be grateful for any comments. Please visit our Contact us page and get in touch. There are plenty of accounts and different opinions of the actual history of coffee that could date back to different time zones. However, the most credible evidence of first coffee consumption and plantation is found by the Sufi monks in Yemen dated back to the fifteenth century. Arabs were the first to discover the coffee tree (no wonder it’s called Arabica). Then through the port of Mokha (Mocha) of Yemen this magical plant travelled across the globe thanks to those who fell in love with its distinctive taste and “mystic” effects. By the mid fifteenth century, during the rule of Suleiman the Magnificent, Istanbul was first introduced to coffee by the then Ottoman Governor of Yemen Ozdemer Pasha. In the early seventeenth century, the Dutch smuggled a small amount of the Arabica coffee beans from the Yemeni port of Mokha (Mocha). They planted them in their colonies across the world such as in Indonesia and Suriname. The Arabica coffee plant then continues its journey to find new homes in South America such as Brazil and so on. In the late seventeenth century, an Indian Sufi figure called Baba Budan went for pilgrimage to Makkah (Mecca). Passing through Mokha (Mocha) in Yemen he found this drink most fascinating that he decided to bring seven coffee seeds and plant them in the hilly region of Chickmagalur district (250 Km from Bangalor). 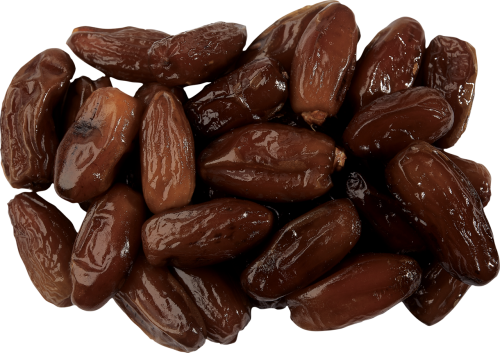 As far as the Neolithic times, an evidence of the existence of dates was found in specific regions such as Syria and Egypt. An indication that mankind has been eating dates more than 7000 years ago. The soldiers of Alexandre the Great have come to know dates in northern India, they planted the stones of dates around their camp and by time palm trees happen to grow there. 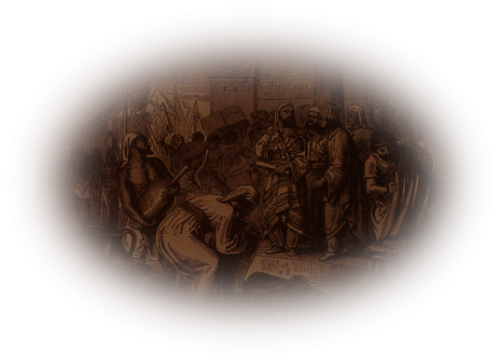 Up to the recent history, date palm rapidly spread towards the coasts of Africa across to Andalus (Today’s Spain and Portugal), until today date palm is still grown in the east. Dates simply meant survival for the nomad. Not only because of its goodness but also due to its very high nutritive value and they can survive for a long time as well, almost forever when dried. It is common in the Middle East to see dates valued not only as a dried but as part of everyday diet and offered in special occasions as well in different forms and shapes. Innovation of consuming dates is consistently developing. From Yemen the coffee went to Egypt, it is believed that Egyptians introduced coffee to the Italians. By the late nineteenth century Italy made the first espresso machine, they even patented it. Both Dates and coffee indulge enormous nutritional benefits. Various people from different backgrounds gain healthy nutrients by simply consuming them. We asked Dr. Ghazzawi (Lecturer, Nutrition and Science Department at the University of Jordan) to explain more about the great benefits of dates fruit and Arabica coffee beans and to tell us a little bit more about their nutritional characteristics. Please click below to learn more. You can enjoy eating dates just as natural as they come or you can combine them with other foods to create interesting energy & protein packed snacks that are just as good for kids as for adults. Also did you think coffee is for drinking only? Think again, we brought you some ideas other than the conventional way of consuming coffee.